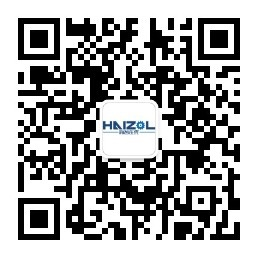 Zhangzhou Ruiteng Electrical Appliance Co. Ltd (ZZRT) was founded in August 2002 with registered capital of 10 million RMB, which covers three subsidiaries Zhangzhou Ruiteng Electrical Appliance Co. Ltd (ZZRT), Sichuan Ruiteng Electronic Co., Ltd (SCRT) and Hongxingtai Electronic Co., Ltd. ZZRT is a professional manufacturer specialized in research & development, manufacture and sales of electrical & electronic components, main products include relay components, optoelectronic products, mechanical components, moulds, special equipment for industry, hardware tools, plastic parts, medium/low voltage equipment etc. ZZRT was identified as national Hi-Tech enterprise in November 2012, which also was awarded “Xiamen Growth SMEs in Year of 2013-2014” in January 2013, was identified as “Safety production standardization level three enterprise” by Xiamen Administration of Work Safety in October 2014, was awarded “Fujian Province Hi-Tech Little Giant Leading Enterprises” in June of 2016, and indentified as “Xiamen Hi-Tech Little Giant Leading Enterprises“ by Xiamen Municipal Bureau of Science and Technology. ZZRT is based in Changtai — the back yard garden of Xiamen, about 30 kilometers from Xiamen. Currently, ZZRT covers an area of 45,000 sq meters, with more than 130 employees, of whom more than 20 experienced, skilled technicians and R & D personnel . ZZRT has passed through IATF16949 and ISO9001:2015 in 2016. We sincerely hope to built up long-term partnership with you from all over the world! Please reach us at: yzh@xmruiteng.com, or call： 86-0596-8290801.